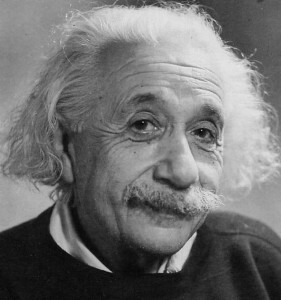 Einstein « CONSTABLE RESEARCH B.V. The Movie the Matrix states an ancient belief that we are living in a Dream World. In the old Gnostic version the Matrix is created by the Demiurg, the Creator of our Material Universe. In the new version the Dream World is created by a Computer Simulator. At this moment Physicists and Mathematicians are exploring the Concept of the Matrix and are achieving remarkable results. One of these scientists is Reginald Cahill. He has developed a challenging theory called Process Physics. One of the most important experiments in Physics was the Michelson and Morley experiment in 1887. The aim of this experiment was to discover the speed of the Ether. At that time the physicists believed space (ether) was moving. The result of the experiment was spectacular. Michelson and Morley found that the speed of Light was a constant (now called c) and the Ether (Space) was empty and static. Cahill (and many others) analyzed the experiments and many other comparable experiments and detected a fatal error. The fatal error was a scientific “script”, the theory of Newton. At that time Quantum Mechanics was not invented. Cahill found what they were looking for, the Absolute Motion of Space. The result of the Michelson and Morley Experiment was used by Einstein in 1905 to create his Special Theory of Relativity. This theory has been verified by many experiments so almost nobody started to question the theory of Einstein. Cahill proved that the absolute motion of space is not contradictory to the experiments that verified the theory of Einstein. Einstein was totally wrong! Everything that is, is Space itself and Space is generating Space. This statement is a “self-reference” and can be formulated as an iterative function Space (i) = Function (Space (i-1)) + Randomness. This Randomness is the result of Quantum Mechanics. Every Self-Propelling Extension of Space has a Free Will to choose a “direction”. This “direction” can be organized as a causal system in which case Time appears. In general “space” is trying to create a Space-Time that is the most predictable to give the objects in Space-Time a change to survive and grow. Cahill found the “Function” and suddenly many disjoint fields of physics were united. Like every other big “paradigm shift” the theory of Cahill is officially banned. The paradigm shift of Cahill is not really a paradigm shift at all. It brings Physics back to a very ancient track that was abandoned a 100 years ago. Space now called Quantum Foam is creating Space. In this process of continuous creation every possible form is created. Space is Relational, a connector of forms, and the connectors have a lot in common with the cells in our body. The fabric of Space is self-referential which means that the creative pattern behind every form is basically the same. Cahill shows that the creation of space, the creation of the Stars and the Planets, the creation of the body and the cells is based on the same iterative process. This process can be seen as the calculation of a very fast quantum-computer that is creating itself. Cahill has discovered the software-design of the Matrix. 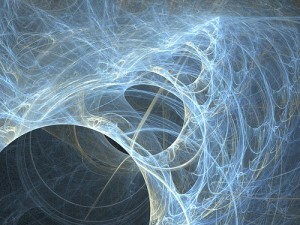 The interpretation of the output of the quantum-computer is done by a conscious mind but the conscious mind is also the output of the quantum computer. The feedback-loops in the cell-like structures of self-propelling space can be seen as a giant mind (a neural network) that is split in many (in)dependent minds. One of these minds is the mind of the Human but cells, the body, the brain, earth, our galaxy and the universe are also mindful. What we are able to see depends on what we are able to see. If we want to look through the lens of Special Relativity we are able to get a long way. At some point we get stuck. Our interpretation system is desperately trying to fit our experiments with our theory. We measure what we want to see and we are able to get a long way. We develop instruments that contain our current theory and we prove the theory we want to prove. Is there an end to our Interpretation System? Our interpretation system fails if we don’t see a structure anymore. At that moment we think our interpretation system is seeing Chaos but Chaos is non-existent. Chaos is an interpretation of something we don’t understand. 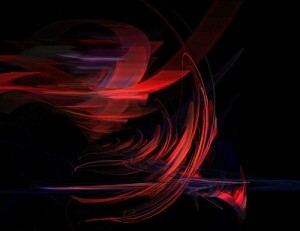 The Limits of Chaos are just like Space extending every time we embrace a new form. Our Knowledge of our Reality expands just like the creator of forms, space, is expanding. There is a Limit to our Understanding. This limit is the smallest self-referential pattern that is able to generate every form there is. Finding this pattern, the Essence, is the Quest of Mathematics. One of the most briljant mathematicians, Stephen Wolfram, the founder of Mathematica, a software package to program mathematics has spend many years, playing with his own software, to find this pattern. He even created a complete new science, a New Kind of Science, to explore this issue. The mathematician Chaitin has proved that we, the Humans, are unable to find this pattern, with the help of programming languages and computers. He proves that we are able to get a long way but at a certain moment Time is going to bother us. We will simply not be able to beat the speed of the creative wave of ever expanding Space. Is there an end to the expansion of space? In our current thinking space looks like a bubble and bubbles can be expanded into eternity. The new forms of space are different. The interpretation of space is changing and space could be expanding until eternity in a closed system. Space could be bounded by itself. It is not impossible that space could find another form to expand again and again. If space is creative and mindful it could create every space that is possible but we the Humans have no idea what this could be because we are moving behind space itself. If we could become space itself we could imagine everything we wanted. How could we move out of the Matrix? We are a part of the consciousness that contains the consciousness that.. If we merge the splits in our simulated consciousness and merge the splits between our consciousness and the conscioussness of the other simulated consciousnesses and ….we could move out of the Matrix. What are we doing in the Simulator? The ancient Gnostic Mystics believed that Our Universe was created by the Demiurg, the Great Architect. The Demiurg was a “high level’ Consciousness who was allowed by the Creator (The Light, The Void) to create a Universe that would speed up the awareness of many “splitted” consciousnesses, The Sparks of the Light. The Earth Simulator is a Learning Device and every Soul is allowed to enter the Simulator to (re-)play a Game. 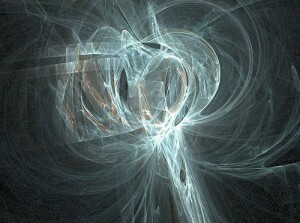 When the Soul enters the Matrix his memory of past lives, other games playd, is erased (the Veil). On Earth we are playing the Games we have chosen. When you are aware of the Game you are able to move out of the Simulator to move to another place to play different games of creation. What are the possibilities when you leave the Simulator? Create Your Own Universe. You don’t need to be a Game Designer to do this. The Simulator is already in place and Old Designs are never repeated in the Multi-Universe. Sometimes I am getting very frustrated when I read spiritual books. I am getting frustrated because those books are a very complicated mixture of many other books that are also very complicated mixtures of other books. The most complicated spiritual books are the books that use mathematical or physical theories to proof they are Right. The main reason is of course that mathematics and physics is complicated stuff to understand. Mathematics contains the essence of Physics. You have to understand a little bit of mathematics to understand elementary Physics. The essence of Mathematics is Geometry. When you understand Geometry the rest of mathematics is just calculation (Algebra). Geometry started as a very practical science concerned with navigation in space and the measurement of all kinds of forms. Soon the old scientists discovered interesting and unexplainable patterns. They discovered a hidden, sacred, structure behind reality and started to find ways to proof their intuiton was right. It was not for nothing that Einstein believed God was a Geometer. Much earlier the Mystic School of Pythagoras tried to find the Sacred Geometry behind the Numbers to understand the Whole. At this moment Geometry has advanced a lot in relation to the old days of Pythagoras and even Einstein. 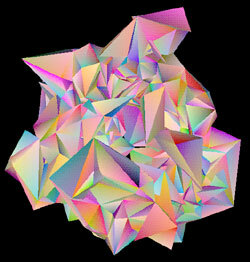 Geometry is now called Topology, the Science of Spaces. In terms of Einstein, God was a Topologist. To proof the theorems of Geometry the concept of congruency was used. Two figures are congruent if they have the same shape and size, but are in different positions or in more difficult language, if they can be transformed by a combination of translation, rotation and reflection. When two figures are congruent they are “the same” and when things are “the same” you are able to prove theorems. During the Renaissance to understand perspective drawing, two things are considered the same if they are both views of the same object. In the Renaissance the perspective, looking from a different angle, was added as a “the sameness”. Circles and ellipses became part of one class. A “the sameness” has a lot to do with Identities and Wholes. When your view on “the sameness” changes you are able to identify a different whole. The new concept of the Perspective made is possible to “see” the Sun as a persistent object instead of an ever changing object. During the Renaissance the Sun became the Center of the Whole. The highly confusing worldview of the Middle Ages where something was the same when it really was the same object in reality slowly faded away. The external world became the world of the Eye, the microscope and the telescope. Topology changed this view dramatically. In topology, any continuous change which can be continuously undone is allowed. So a circle is the same as a triangle or a square, because you just pull on parts of the circle to make corners and then straighten the sides, to change a circle into a square. In the View of Topology the Sun is nothing but a small part of an ever expanding and contracting Universe. Topology transformed the external World of the Eye into the Internal World of Moving Water, Waves and the Emotions, the Felt Sense. Topology is the Science that prepares the Way for the Water Bearer, Aquarius. Topology is just like Geometry not only the science of space. It is also the science of transformation and transformation is also the essence of spirituality. The major issue of Topology is the Contraction and Expansion of forms and again the essence of spiritual transformation is the Breath of God, the Holy Spirit. Topology has also a lot to do with Harmony or Symmetry and again Realizing Harmony is one of the major issues in Spirituality. The interesting part of Topology is that you are able to do research on a huge scientific mathematical domain by exploring just one structure which is a representative of all the other structures. The first object of interest are the Circle and The Line. It is not possible to transform a Circle into a Line without cutting the Cycle in one Point, Infinity. In a circular, moving world, Infinity is non existent or every Point of the Circle corresponds with Infinity. This is an interesting insight because almost nobody doubts about the fact that the space we live is a Circular Rotating Space. In the World of the Circle The very Small and the very Big are the Same. According to the Physicists our Space is a much stranger Space than a Circular Space. Our Universe is highly dimensional because the complicated symmetry of our Universe simply does not fit in a lower dimensional space. 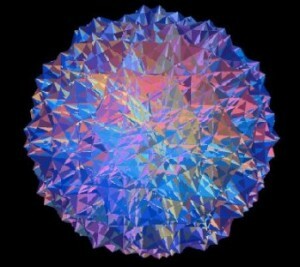 The most symmetric object, strangely called the Monster, uses 196,884 dimensions. We, the Humans, travel a small part of the Monster, because we are not able to see enough perspectives. A perspective is a dimension. One of the most interesting subjects is Self-Reference. The most simple Self-Referential structure is a Circle. Topology contains very special Self-Referencial Structures like the Moebius Ring and the Klein-Bottle. The Moebius Ring is a Space without an Outside. It is closed in Its Self. You always travel the same surface. A Klein Bottle is even stranger. Its surface is Closed in Itself but it has no Inside and no Outside. It simply IS. A Moebius Ring exists in our 3-dimensional space. A Klein Bottle needs 4-dimensional space. 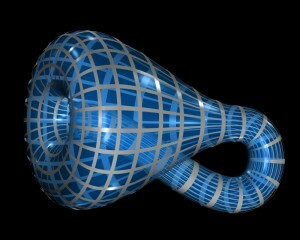 The Klein Bottle has a lot in common with a very old concept, the Ouroburos, the Snake who eats Himself. The Snake is a symbol for the Kundalini, the Force of Enlightment. More complicated topological structures are Knots and to give you a quick insight, the Universe is a Web that was never Woven, a beautiful Veil that is difficult to See when you are travelling a small part of it. I know this small blog will not help to get an insight but I assure you that when you start to explore Topology You will encounter new Concepts (or Paradigms) that will surprise You. Topology will give You a still small but highly extended perspective on the Creation of the One that expanded in so many Harmonic structures. 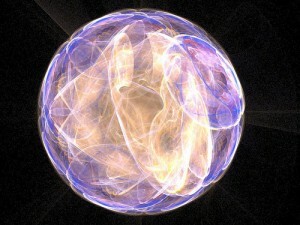 Our universe contains an unseen fifth force called the Aether. Aether is the carrier of something that was called the Force of Live in old Civilizations. The concept of the Aether was part of Science until Albert Einstein introduced the General Relativity Theory. At that time the Aether was abandoned and Space became Empty. In reality Space contains something that could be used to cure diseases and to generate an unlimited amount of Energy. The consequences of the new and old theory of the Aether are violating almost everything we believe in Western Society. Albert Einstein and Niels Bohr (Quantum Mechanics) have been in conflict all their lifes. Bohr believed in Statistics and Coincedence. Einstein believed in Fundamental Laws and Geometry (“God is Geometer”, “God is not throwing dice“). Einstein was a Jew and although he was not religious deep in his hart he believed in a Creating Power. Bohr was more inclined to the Chinese Philosophy of the Tao. 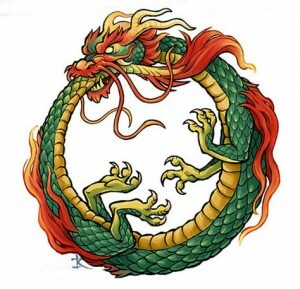 Niels Bohr adopted the the yin-yang symbol as his family coat of arms after a trip to China in the 1930s as he felt it symbolized the concept of wave-particle complementarity. Until now scientists are looking for the unifying Theory of Everything. One of the most interesting candidates is String Theory. 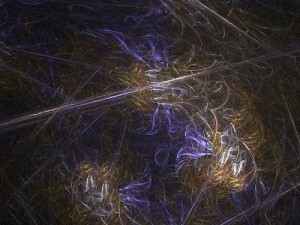 Behind String Theory is the Beta Function representing a multidimensional string. 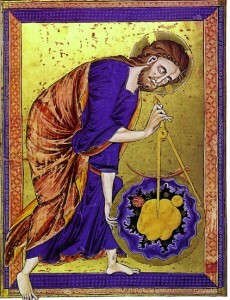 The String is producing the Music of the Spheres (Pythagoras, Egypt). Behind every Theory of Physics we can find an old Religious System. The man and woman in the street are incapable of understanding their physical environment. All they know is that Science has proved that the Universe was created by a Big Bang. They have found a completely Mechanical Explanation of the Universe. The Scientists are trying to prove that we don’t need a Self Aware Consciousness to explain our Reality. Everybody is Religious in some way. The main reason is that we all are going to die and almost nobody believes everything ends at that moment. Many people have experienced religious moments and they are looking for an explanation. At this moment Science is destroying Religion but Science is also proving many things the Religions of the World were explaining a long time ago. It looks like there is a Shared Religion behind all the Religions of the World. They centainly share the belief in a Self Aware Consciousness that created Every Thing. There are many Scientists (like Capra, The Tao of Physics) who are trying to unite Science and one of the Religions of the World. Their number is growing. We are in a stage of the Cycle where Religion is becoming more important to many people. We have to find a Union between Science and Religion and the Union is really not difficult to find. If we don’t find a Union the man and woman in the street will be without a long term perspective. They will be litterrally lost in (empty) space. The old Aether Theory suggested a very simple model of the Universe. Every Force is a Stage of the Aether and the Aether operates on many Levels. The Universe started with a Consciousness that was Aware of itself. The Self-Aware Consciousness unfolded itself at lower levels. At every Level the same structure is visible. The Universe is a self-referential system, a Fractal. We are One and we are Different. Experiments in Physics have shown a huge influence of the Observer of the Experiment. In the Medical Field this is called the Placebo Effect. 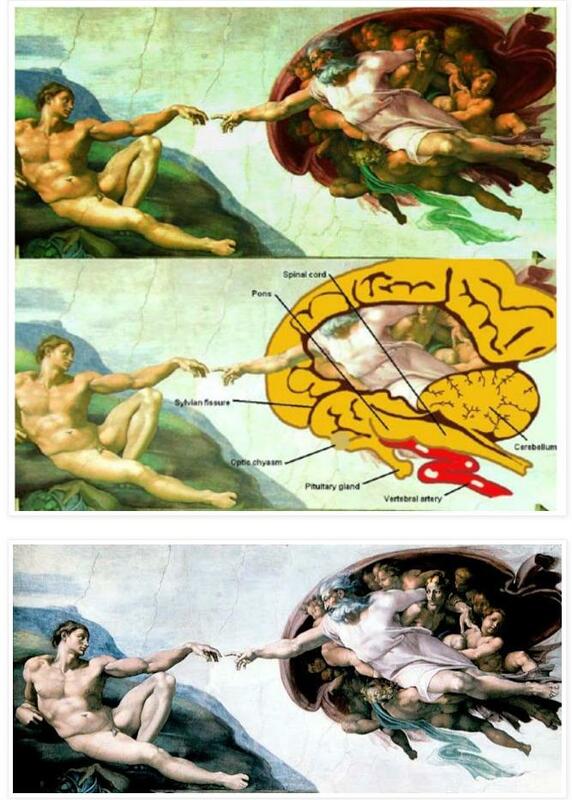 The Consciousness of the Human has a strange influence on his physical environment including his material Body. If the Universe is a Self-Reference it is not strange to believe that a Consciousness is involved on Every Level. It also implies that our Cells (a lower part of the unfolding) are Conscious. Science has very big problems with the Role of the Conscioussness in the Universe. The Idea of something that could be called God is frightening because in the Western Culture God is a Strict Father. He is punishing his children when they are not obeying his Laws. We are Sinners. The idea of a Nurturing Mother taking care of her children has completely disappeared. The believe that Everything in the Universe is conscious has many more implications. When we eat, Somebody has killed Something that has a lot in common with Us. We don’t want to become aware of this fact because when this is true we are bothered by our Empathy. We don’t want to be responsible for killing something that Looks like Us. Soldiers are killing Human Beings but they are doing this because The Enemy is Bad and we are the Good Ones. We always find a very intelligent explanation to get rid of the thought that we are doing something the Strict Father called God is forbidding. We are not responsible. They are! But sadly enough the Strict Father is aware of everything. There is no place to hide. The only thing we can do is to deny the Strict Father. We are not religious and we are able to explain everything without the need of a Strict Father. Science is helping us to Blind the Strict Father. Science is doing this to create a highly complex system, a Veil no one can penetrate. Our Bodies are Chemical Factories and Electro-Magnetic Structures (Fields). They are also influenced by our Consciousness and the Consciousness of Others on Our Level and on a Higher Level. At this moment we ignore the Field and the Mind completely. We are also ignoring the Force that is Aware of itself. We don’t believe in her Love and Care. We want to solve our own problems and we are capable of doing this because the Intelligent People that are Scientists just need a little more time and money. Plasma Cosmology shows the big influence of the Electro-Magnetic Field in the Universe. Epigenetics shows the influence of the Mind and The Field on our Body. Our Believe Systems are managing our Body. Electro-Magnetic Therapy (or Energy Therapy or Radionics or Orgone Therapy or Psionics or..) is according to the current state of Medical Science a fraud. It has a positive influence on some of the patients and it fails with many others. If you look at the influence of the Mind on the Body and you know that many sick people are convinced they are sick and can only be cured by an intervention in the Chemical Factory of the Body you can easily understand why this is happening. They really don’t believe the Field is able to cure and what they believe will happen. We are proving what we don’t want to prove and we don’t want to believe what we are proving because when we become aware of the impact of the prove our believe system falls apart. We don’t want to believe that we are able to cure ourselves because we want to feel alone in the Universe. We are left alone by our Strict Father who promised so much and nothing came through of his promises. We really don’t like Him at all. We are desperately looking for our Nurturing Mother who was unable to do what she wanted to do. She was restricted by her Strict Husband. Our Nurturing Mother, the Force of Life, The Aether, is everywhere available but we are making so much noise that we don’t hear her voice. She is able to cure and to give unlimited energy but we really don’t want that. We want to be the Victims of The Strict Father. We want to keep on suffering because suffering really feels good because it feels bad. We love to punish ourselves so we can believe that the Strict Father is doing this to punish us for the Sins we are really committing. We are very strange organisms.